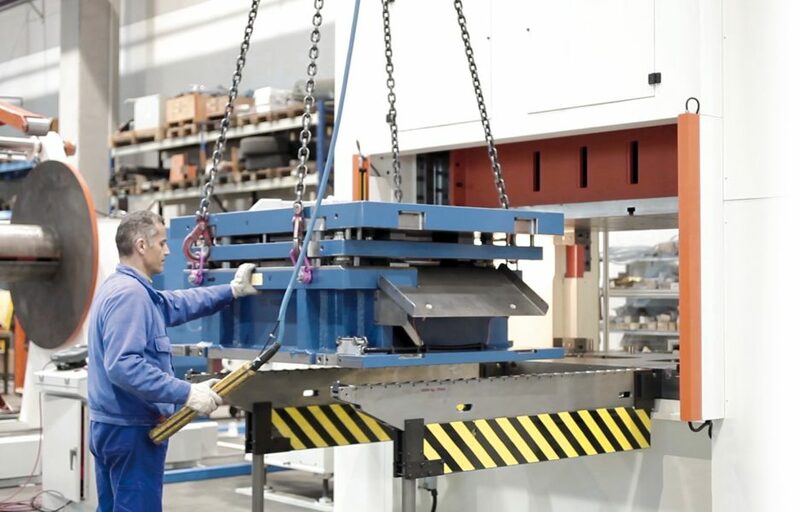 makes it possible to safely load a tool either with a lift cart or a crane. Besides making the operation safer, using an appropriate instrument will make you save a great amount of time. 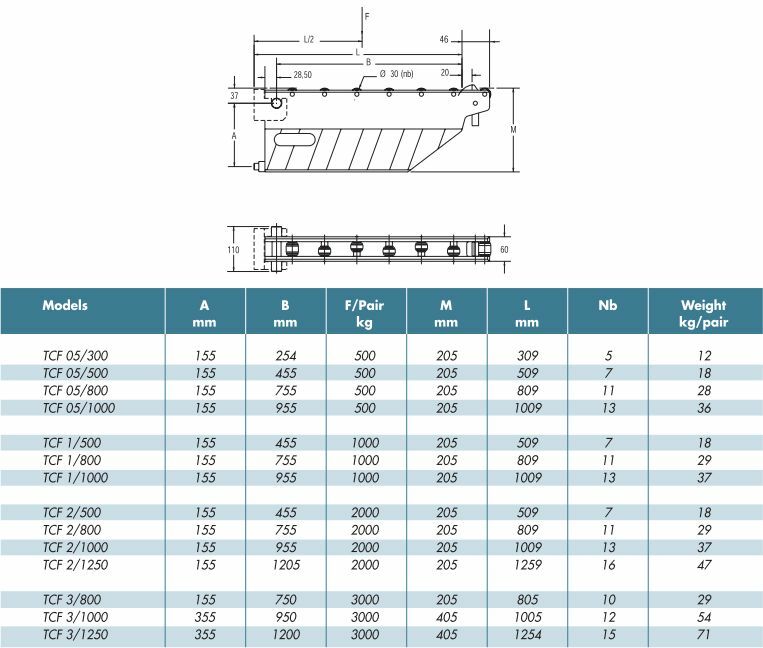 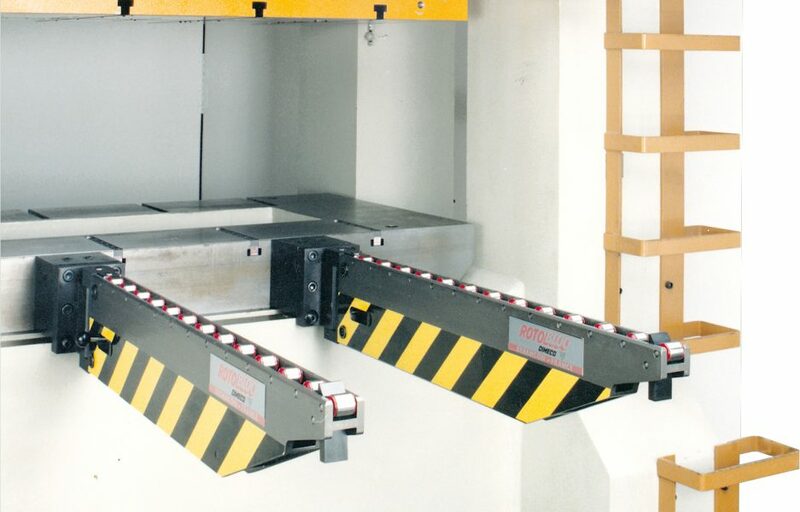 The bolster extensions are fitted out with rolls for heavy loads. 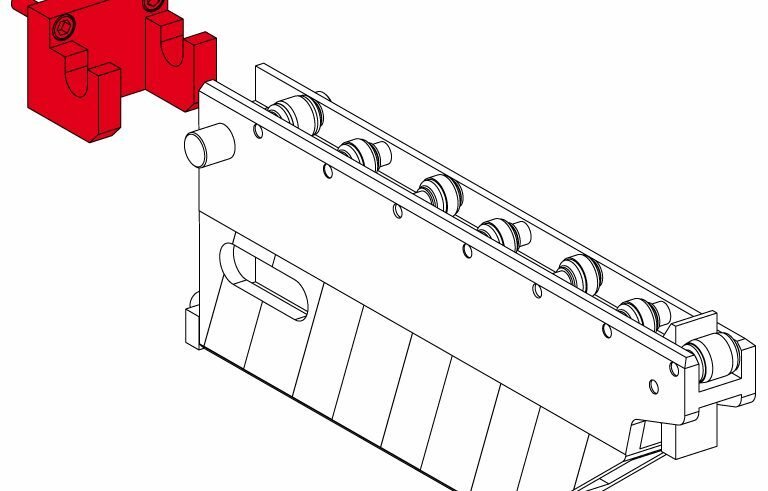 LIGHT AND STURDY : The extruded aluminium profiles is a perfect balance between strength and lightness. Gripping it manually is easy for the operator. 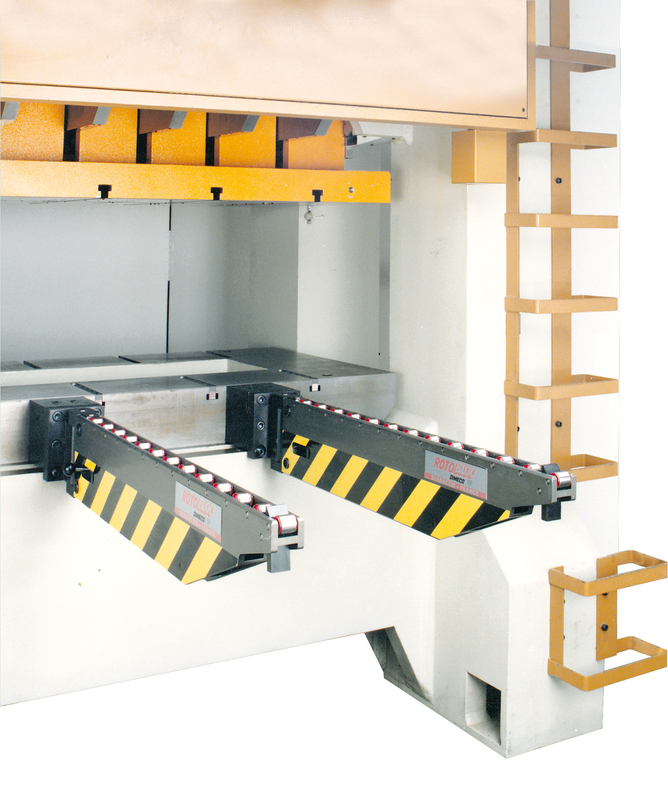 Its sturdy conception allows it to support heavy loads. 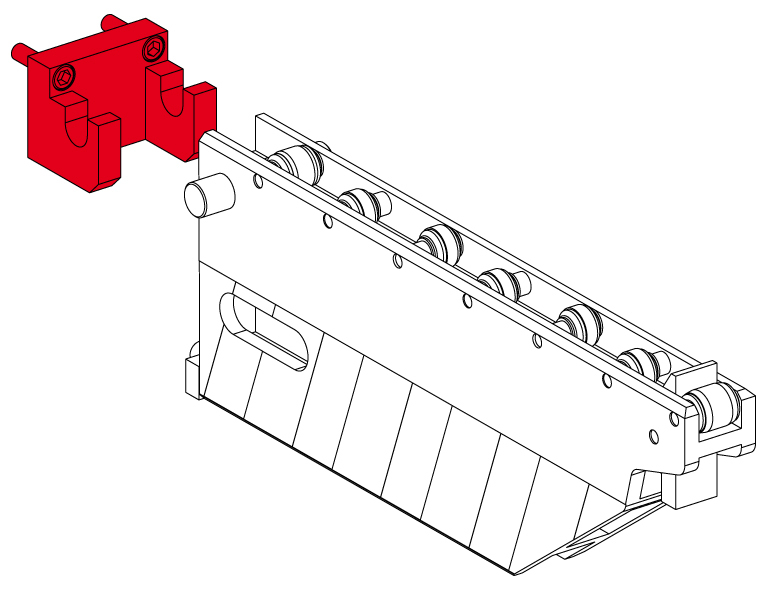 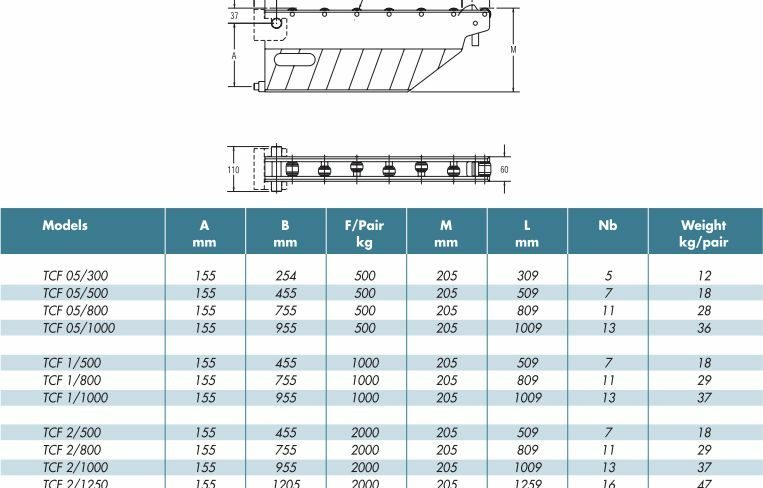 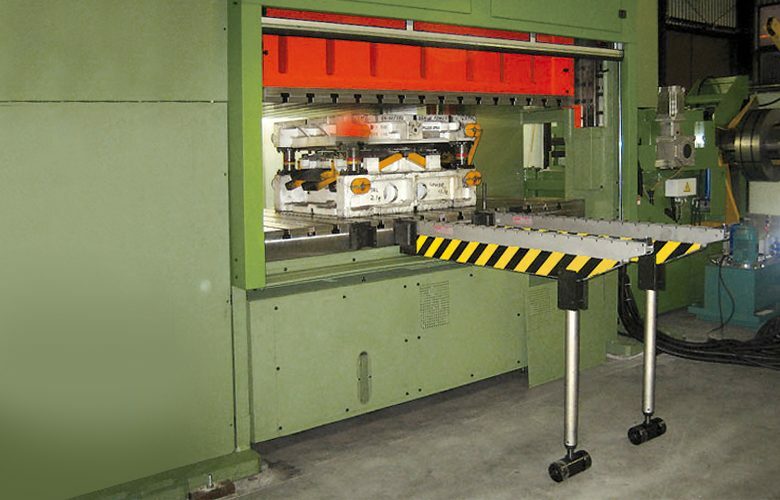 FAST SET-UP : With the tool brackets, it is very fast to attach the bolster extensions to the press and to make it fit different tool widths. 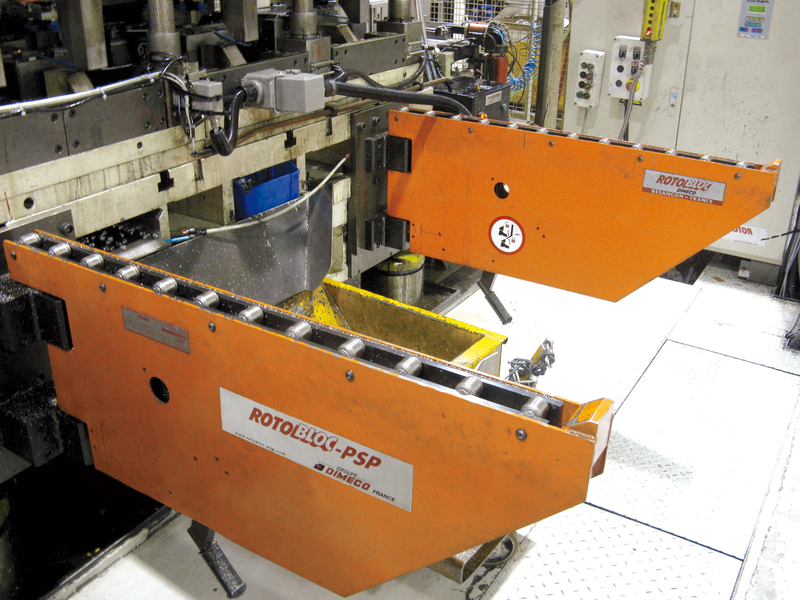 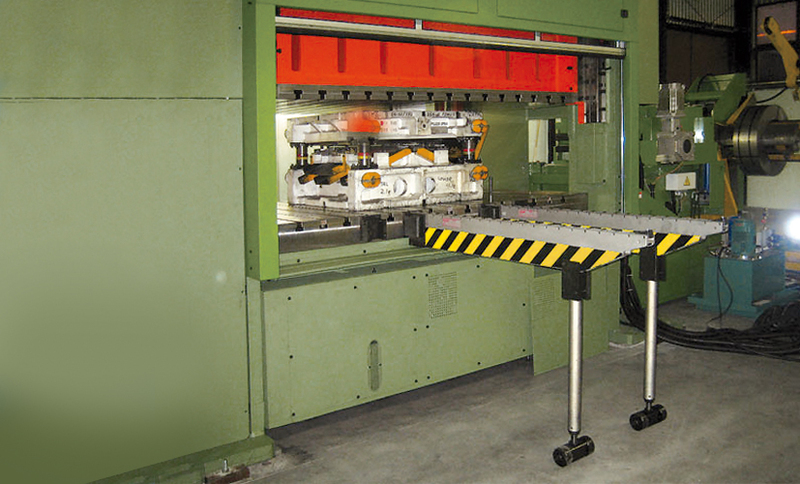 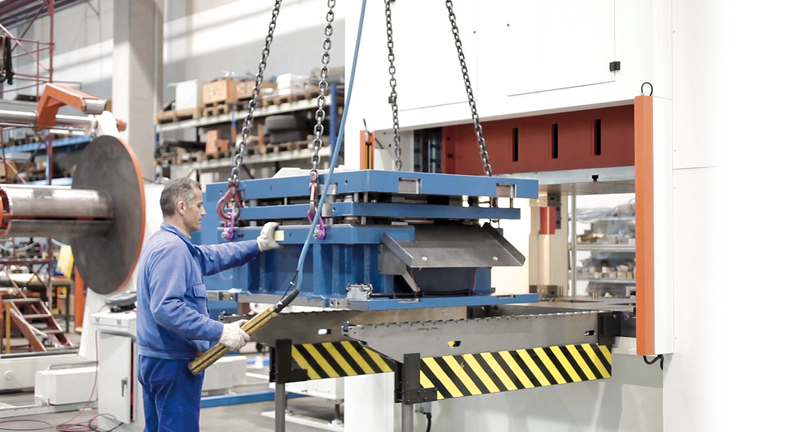 It is also possible to share a pair of bolster extensions between different presses. 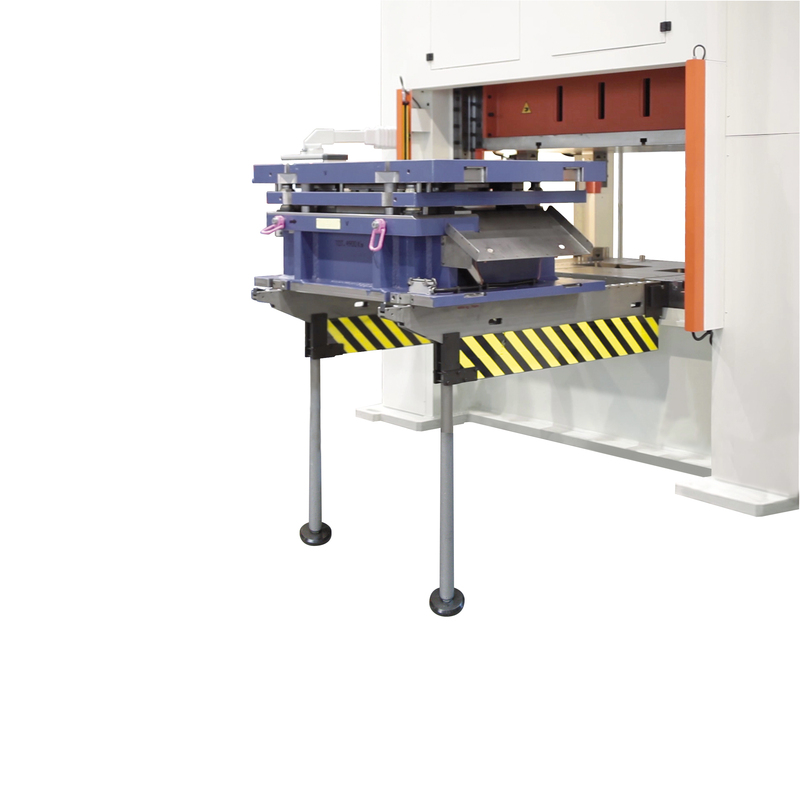 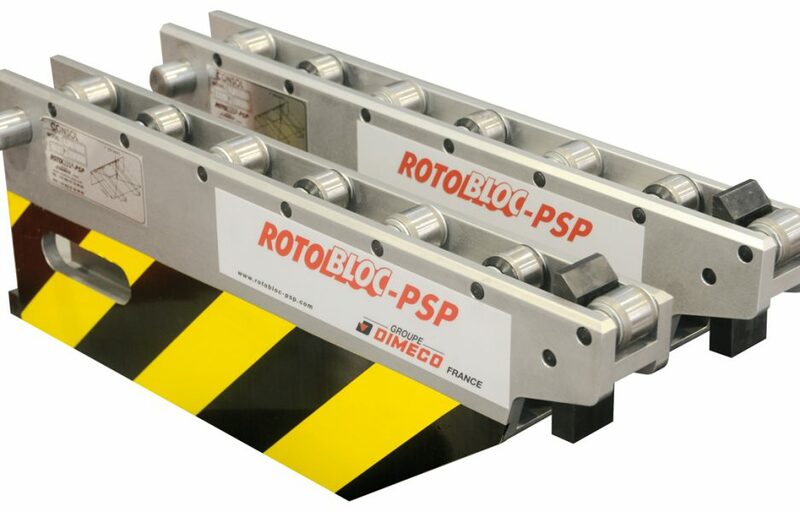 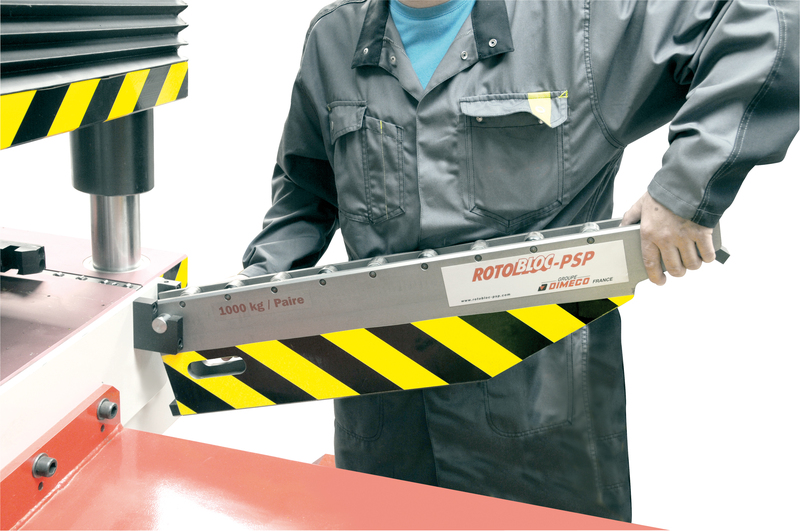 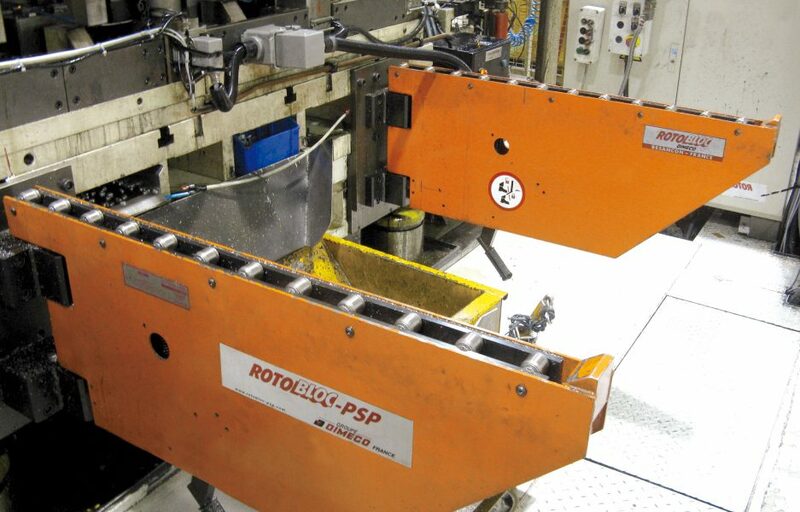 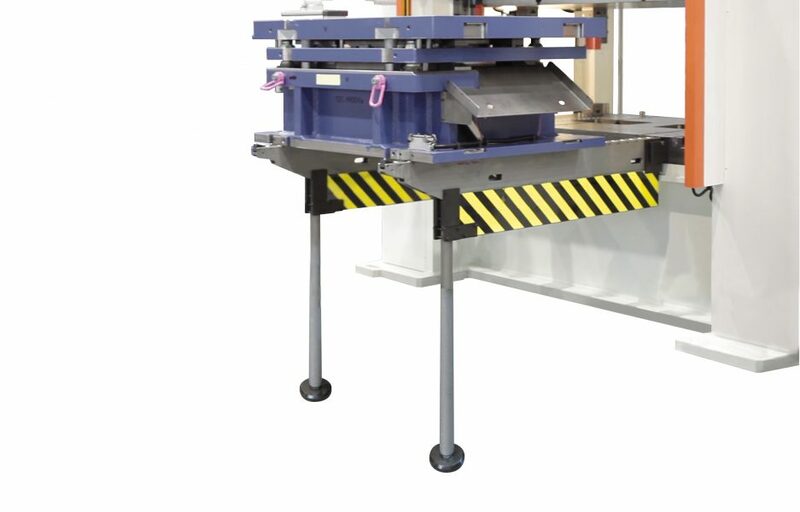 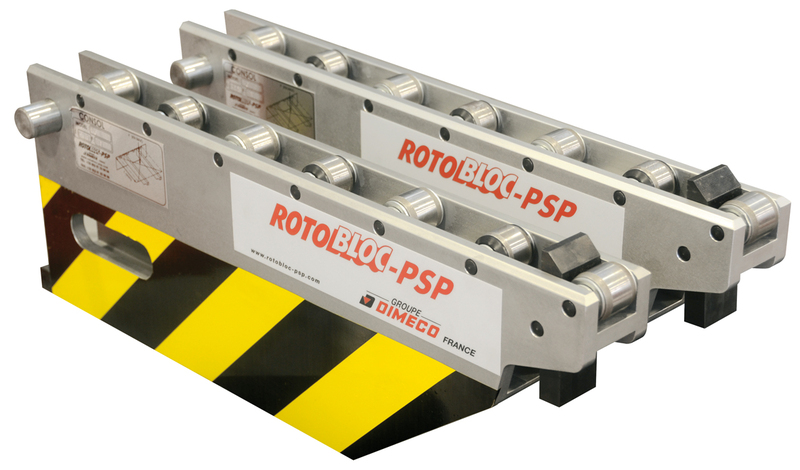 SAFETY : The bolster extensions are fitted out with a retractable stop for low tonnage tools and a progressive ramp stop for high tonnage tools.